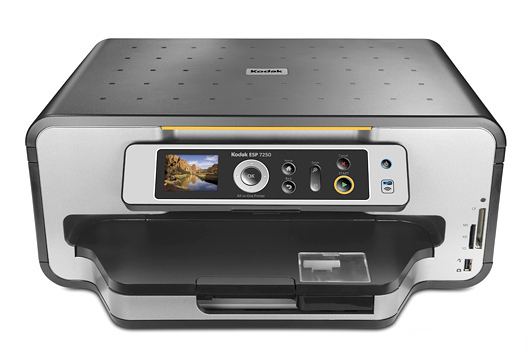 The Kodak ESP-7250 is an entry-level multifunction printer with scanning and copying functionality designed to produce high quality, consumer grade photo prints. It offers a number of connectivity options and easy networking opportunities, making it potentially suitable for home network applications with a heavy emphasis on graphics. However, it does have a number of drawbacks that make it potentially less desirable than other models like it. The printer measures 17.5" by 7.4" by 17" and weighs 18.7 lbs. This is fairly consistent with a number of other models like this one, and it will fit alongside other consumer equipment on a desk or a table without a great deal of effort. The printer produces color documents at a resolution of 9600 dpi, consistent with many high-definition consumer printers. It can produce 4" by 6" photos in 29 seconds or less and standard-sized documents at speeds of 32 pages per minute in black and 30 pages per minute in color. In can produce standard-size borderless documents up to US letter size (8.5" by 11"), A4 (216 by 279 mm), and standard-size documents up to 8.5" by 14" (legal size). The printer includes two paper trays. One is an auto-engaging photo paper tray which holds 40 sheets of photo paper, the other is a 100-sheet general purpose document tray that supports a minimum size of 4" by 6" and a maximum size of 8.5" by 14". The copier produces documents at speeds of 27 pages per minute in black and 26 pages per minute in color. 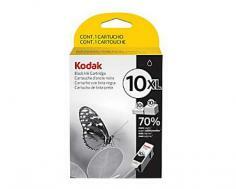 It can produce up to 99 copies at a time and supports reduction and enlargement on a 10%-500% scale. The scanner can scan documents at a maximum resolution of 2400 dpi using optical scanning or 24-bit, 9600 dpi interpolated scanning. The printer includes a USB 2.0 port for easy wired connectivity, as well as a 10 Mbps Ethernet port and 802.11 b/g/n wireless connectivity with support for computers, as well as the iPhone, iPad, and iPod Touch. PictBridge support is available for digital cameras and other USB host devices. It also includes optional support for Bluetooth 2.0. Memory card support is available for Secure Digital cards, Secure Digital High Capacity, Compact Flash I and II, MultiMedia Card, Memory Stick, Memory Stick Pro, and xD-Picture Cards. The printer supports versions of Microsoft Windows from XP (Service Pack 2) onward as well as Mac OS X 10.4.8 or newer. The printer includes a 2.4" LCD for status updates and maintenance assistance. The printer, its printhead, and its ink cartridges are all warrantied for one year from purchase or 13 months from the date of manufacture. Some consumer inkjets' printheads have a tendency to die early, making this a potential long-term value and benefit, increasing printer life and decreasing user costs. The printer does not include a USB cable, like most printers. This isn't necessarily a con, but it is an inconvenience worth taking into account when purchasing the printer and preparing to set it up. Unlike some other high definition consumer inkjet printers, the ESP-7250's color ink is not split up between colors but rather is a single tank of color ink. This means that users that regularly print a specific set of pigments will experience color drain, and subsequent cartridge exhaustion, before users who print a diverse assortment of colors. 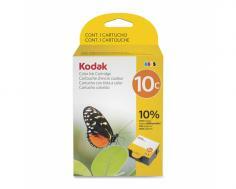 Many comparable models split color ink into separate cartridges in order to address this, saving money in the long term. Review it: "Kodak ESP 7250 "
Standard and high capacity inks are available for this model, while ink is available in black and color configurations. Black inks are measured at 425 or 770 sheets per cartridge for its respective standard and high-capacity configurations, and color ink is available in 420-page configurations. Given the extremely low cost of this printer, Canon recoups some of this cost by charging a lot for ink cartridges that will run out considerably faster than cartridges with separate ink systems.